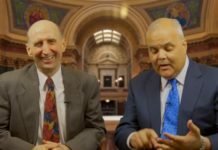 The WisOpinion Insiders, Kanavas and Chvala, preview the state Democratic convention. Sponsored by the Wisconsin Counties Association and Michael Best Strategies. 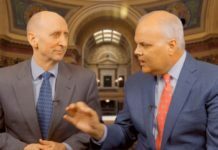 The WisOpinion Insiders, Chvala & Kanavas, debate Gov. 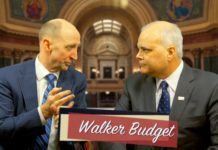 Scott Walker's plan to drug test Medicaid recipients, approved by the Joint Finance Committee this week. Sponsored by the Wisconsin Counties Association and Michael Best Strategies. 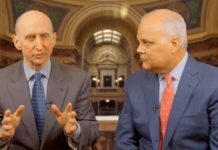 The WisOpinion Insiders, Chvala & Kanavas, analyze the possible budget end game for transportation funding. Sponsored by the Wisconsin Counties Association and Michael Best Strategies. 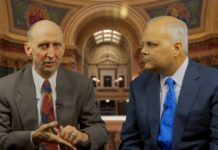 The WisOpinion Insiders, Kanavas and Chvala, preview the state GOP convention and next year's U.S. Senate contest. Sponsored by the Wisconsin Counties Association and Michael Best Strategies. 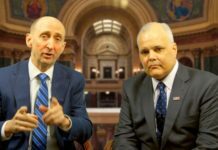 The WisOpinion.com Insiders, Chvala & Kanavas, debate President Trump, Sheriff Clarke, the 2018 guv's race, transportation and more in the "lightning round," brought to you by the Wisconsin Counties Association and Michael Best Strategies. 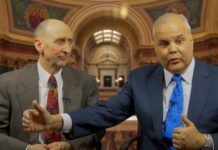 With the Joint Finance Committee preparing to vote on Monday, the WisOpinion.com Insiders, Chvala & Kanavas, debate transportation, self-insurance, education and more. Sponsored by the Wisconsin Counties Association and Michael Best Strategies. 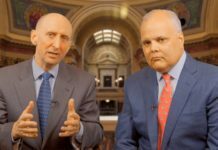 The WisOpinion.com Insiders explain how conservative rank-and-file legislators are driving a lot of the discussion in the Capitol. Sponsored by the Wisconsin Counties Association and Michael Best Strategies. 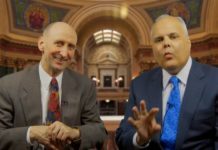 The WisOpinion Insiders, Chvala and Kanavas, debate transpo taxes and the Walker factor. Sponsored by the Wisconsin Counties Association and Michael Best Strategies. The WisOpinion.com Insiders, Chvala and Kanavas, debate the value of the DNR magazine slated to be shuttered under Gov. Scott Walker's budget. Sponsored by the Wisconsin Counties Association and Michael Best Strategies. 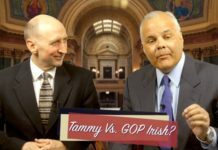 Will Tammy Baldwin need the luck of the Irish to win re-election next year? 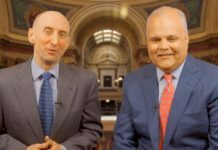 The Insiders do an early analysis this St. Patrick's Day. Sponsored by Michael Best Strategies and the Wisconsin Counties Association. 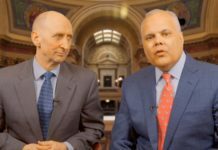 The WisOpinion.com Insiders, Chvala and Kanavas, debate how the Republicans' effort to repeal and replace Obamacare will play out over time. Sponsored by the Wisconsin Counties Association and Michael Best Strategies. 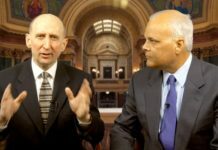 The WisOpinion.com Insiders, Chvala and Kanavas, debate Trump, Walker, Laning and Evers-Holtz in the lightning round. Sponsored by Michael Best Strategies and the Wisconsin Counties Association. 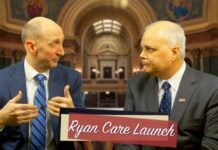 The Insiders, Kanavas & Chvala, debate Republicans' fight to keep their legislative district lines intact. Sponsored by the Wisconsin Counties Association and Michael Best Strategies. 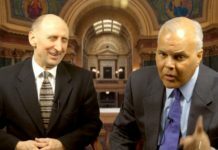 The Insiders, Kanavas and Chvala, debate whether Scott Walker is the education governor. Sponsored by the Wisconsin Counties Association and Michael Best Strategies.